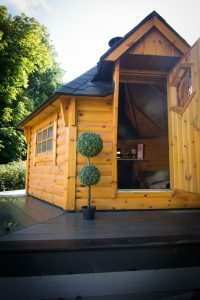 Our guests at Holiday Homes NI can enjoy our fantastic luxurious BBQ hut which is just the cutest thing ever and is set in our picturesque garden looking over the stunning County Tyrone countryside. Aghaloo House is truly a luxurious rural retreat and the luxury BBQ hut adds huge potential for our guests. 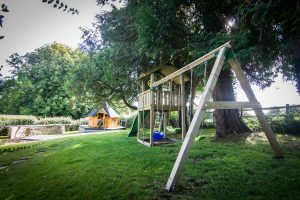 The house sleeps 10 people so is very popular with people travelling from overseas as well as catering for hen parties and stag parties who want to experience the beautiful area which surrounds us. 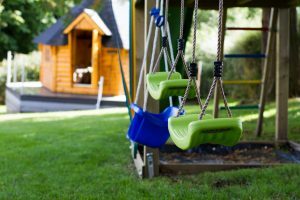 It’s also extremely popular for corporates who want an escape from the norm who come for team building days and small corporate gatherings as well as families who enjoy holidaying together. 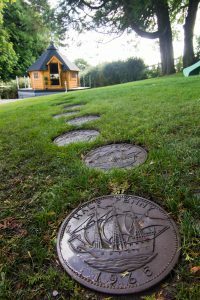 The BBQ hut is set in a spacious garden which is surrounded by mature trees and has its own secured well and play area for children. 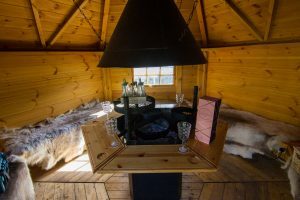 The luxury hut is a great space for guests cooking themselves and we also offer guests the opportunity to have their own private chef come in and cater for them. This is a fabulous space to relax, enjoy great locally produced food and sample some of the great Irish ciders, beers and gins distilled here in Northern Ireland. The food and drink scene in Northern Ireland is burgeoning and people are seeking out extra special ways to enjoy what we offer here. 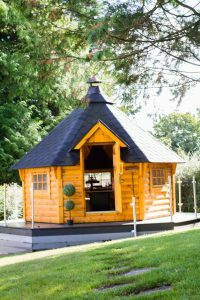 So when you book Aghaloo House, make sure and avail of this wonderful garden attraction where you can slow cook meats and savour the flavour and smells in the comfort of this luxury BBQ hut.